Yolanda Otero Alonso was born in the Netherlands and is of Spanish descent. She has been educated in the Netherlands, Spain and Great-Britain. 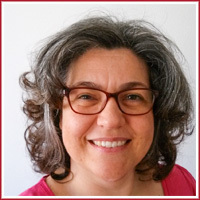 She is a sworn translator Dutch-Spanish and vice versa, authorised by The Spanish Foreign Office (for more information, visit the Spanish Foreign Office MAEC). Naturally, she also offers ordinary translations between these two languages. Apart from this, she translates from English into Dutch and Spanish, and from these two languages into English. You can also contact her if you have documents in French or German which have to be translated into Dutch, Spanish or English. Yolanda Otero Alonso has specialized in medical and legal. Nevertheless, should you have other documents that need to be translated, feel free to contact her as well. She produces high-quality translations, and they are always delivered on time. Rest assured that your data will be treated confidentially: your privacy is guaranteed. Should you need more information or should you wish to receive a quotation for your translation, please fill out and send the Contact form. You can also send an e-mail to info@yoatrad.eu or call (+34) 657 555 230.